More than 100 riders from different saddle clubs from across the state will travel to St. Maries this weekend for the 2017 Idaho State O-Mok-See. The event begins with a 4-D barrel race Friday, June 30, and is followed by two days of competition, July 1 and 2. All events will take place at the Benewah County Fairgrounds. The Idaho Saddle Clubs Association Royalty is hosting the barrel race Friday night as its primary fundraiser. 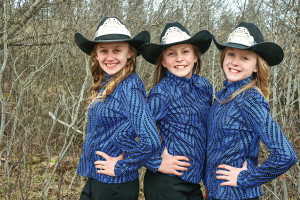 The Idaho State Saddle Club roayalty this year is represented by local Tensed grls – Baylie Kelly, Eliya Kelly and Bostyn Kelly. The Idaho State Saddle Club’s state O-Mok-See is also being held locally this weekend at the Benewah County Fairgrounds. Everyone is welcome as this is an open event, and you do not need to be a member of a saddle club to compete. Time-only runs will be at 5:30 p.m. with the race to start at 7 p.m. Payout is 50 percent plus $500 added money in the open class. Saturday and Sunday will feature speed events on horseback for all age groups including: 8 and younger; 9 to 11; 12 to 15; 16 to 24 women; 16 to 39 men; 25 to 39 women; 40 and older women; and 40 and older men. Speed events planned for Saturday include pole bending, figure 8, arena, keg race and key race. Sunday’s events will include half 8, polo turn, flag race and speed barrels. There will be an award ceremony Saturday evening and Sunday afternoon. There will also be a jackpot team event, pair sack. Saturday’s festivities start at 8 a.m. with a mandatory riders’ meeting and then grand entry at 9:30 a.m. followed by events. Sunday’s event kick off at 8:30 a.m. with grand entry. To compete in the state O-Mok-See, a rider must belong to a saddle club. Riders may still register to compete at the event this weekend. However, since the pre-registration deadline has passed, fees will be doubled. Spectators and competitors may not access Benewah County Fairgrounds prior to 1 p.m. Thursday, June 30. Camping is available at $10 for dry camping or $15 for hookups per night. Awards will be given out in each event for each age group. High point awards will also be given. Those who compete in all nine events but do not place will be entered into a $100 gift card drawing. An auction will take place during the O-Mok-See. Also, the rider with the overall fastest time in all nine events will be declared the Jessie Joe Memorial Winner. Full concessions will be available on site during the event. Registration forms and more information is available online at http://www.webpages.uidaho.edu/~afalen/. For more information, contact Brianna Ackerman at (208) 301-0561. The St. Maries High School Class of 2017 earned more than $500,000 in scholarships and grants. Several students will receive $98,400 as they enlist with the country’s armed forces through the Post 911 GI Bill. Students and their branches of service are, Sage Butterfield, Air Force; Krystal Stufflebeem, Army; Donaven Rottini, Coast Guard; and Jared McGregor, Navy. In addition, Saige also received a University of Idaho academic achievement scholarship for $2,000. Bryant Asbury earned two $500 scholarships – the Elizabeth Curtis Scholarship Trust and Robert Marzulli Memorial Scholarship. Patrict Asbury received a $1,000 North Idaho College Foundation Scholarship and a $500 Kaleb Brown Memorial Scholarship. Alexis Cobb dons her gown. Kelsey Auer netted more than $10,000 in scholarship money. She received the following: $500 Benewah Community Hospital “Grow Your Own” Scholarship; $1,500 Bob Lust Memorial – SMHS Volleyball Scholarship; $500 David M. Memorial Memorial Medical Scholarship; $1,000 Elizabeth Curtis Scholarship Trust; $3,500 Idaho Opportunity Scholarship; $2,000 Presidential Scholarship from Lewis Clark State College; $1,000 Book Scholarship from Lewis Clark State College; $1,424 North Idaho College Women’s Basketball Student Athlete Scholarship; $1,000 North Idaho College Foundation Scholarship; $500 Robert Marzulli Memorial Scholarship; and $2,200 St. Maries Distinguished Young Women Scholarship. Jordan Bassinger earned three: $400 Archie’s IGA Hometown Proud Award; $1,000 Elizabeth Curtis Scholarship Trust; and $4,000 University of Idaho Academic Achievement. Classmate Mattea Bergland earned five including $500 Elizabeth Curtis Scholarship Trust; $500 Elks Vocational Scholarship; $3,500 Idaho Opportunity Scholarship; $400 Kiwanis Vocational Scholarship; and $1,000 North Idaho College Foundation Scholarship. Anthony McKuin visits with friends. Jordan Blood earned two $400 scholarships, the first from a Kiwanis Vocational Scholarship and the second a North Idaho College Foundation Scholarship. Elizabeth Bloomsburg received six scholarships: $200 Alumni Association Scholarship; $500 Elizabeth Curtis Scholarship Trust; $300 Idaho Opportunity Grant; $1,500 Kootenai County Farm Bureau Scholarship; $1,366 Frank Albright Scholarship; and $500 Worley Town and Country Club Scholarship. Carley Chase was the recipient of the $500 Sylvia and Russ Thornbrugh Scholarship. Alexis Cobb received a $1,000 Foundation Scholarship from North Idaho College. Maddie Dittman earned six scholarships: $500 Benewah Community Hospital “Grow Your Own” Scholarship; $500 Dr. Thomson Kiwanis Memorial Scholarship; $500 Elizabeth Curtis Scholarship Trust; $1,500 Lewis Clark State College Provost Scholarship; $500 Margaret Mary Bauer Nursing Scholarship; and $1,650 St. Maries Distinguished Young Women Scholarship. 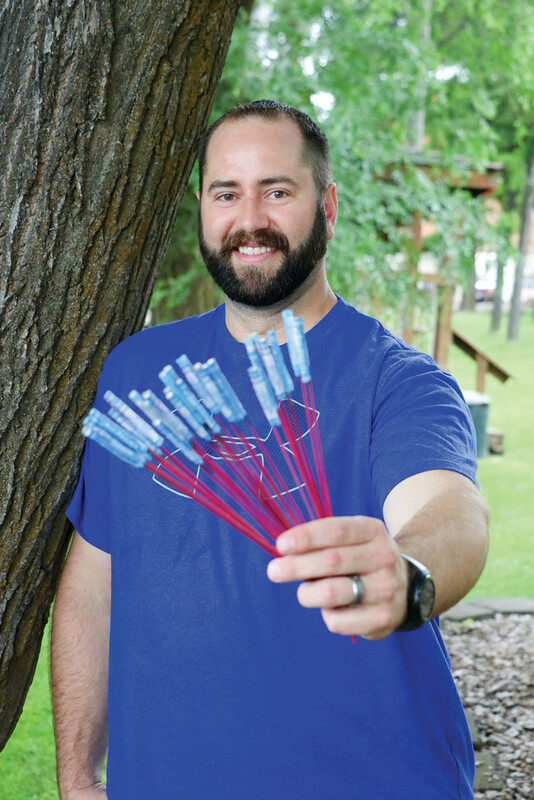 Michael Ebert netted more than $4,000. He received $1,000 Benewah Community Hospital “Grow Your Own” Scholarship; $500 Counselor Leadership Scholarship; $1,000 Elizabeth Curtis Scholarship Trust; $1,000 Karen Ebert Memorial Scholarship; $1,500 Lewis Clark State College Provost Scholarship; and $500 Thurston Memorial Scholarship. Ashanna Dennis places her tassel. Dylan Edwards earned a $500 Brandon Avalos Memorial Scholarship; $1,000 Elizabeth Curtis Scholarship Trust; $500 Gannon Family Scholarship; $3,500 Idaho Opportunity Scholarship; and $1,000 University of Idaho Academic Achievement Scholarship. Mallory Edwards tallied three: $500 Alyce Broyles Memorial Scholarship; $500 Elizabeth Curtis Scholarship Trust; and $1,000 North Idaho College Foundation Scholarship. 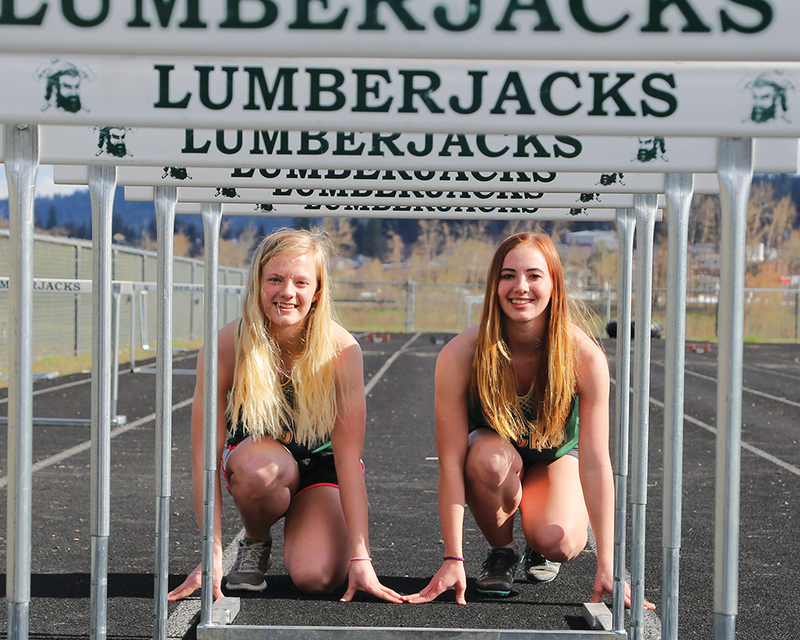 Toni Eels netted $2,200 with an Academic Achievement Scholarship from the University of Idaho ($2,000) and money from Distinguished Young Women ($200).Dakota Garber earned a $1,000 North Idaho College Foundation Scholarships. Earning 10 scholarships, Keifer Gibson was the recipient of the following: $250 Bill Anderson/KOFE Radio Scholarship, $500 Elks Most Valuable Student (MVS) Scholarship; $500 Elks Vocational Scholarship; $400 Kiwanis Vocational Scholarship; $2,000 Presidential Scholarship at Lewis Clark State College and $1,000 Book Scholarship; $500 Lumberjack Booster Club Scholarship; $500 Robert Marzulli Memorial Scholarship; $500 Tony Piccinini Scholarship; and $1,000 West St. Joe Wildland Fire Scholarship. Hunter Hagan received a $500 Elizabeth Curtis Scholarship Trust and a $250 Julia Peters Memorial Scholarship. Karry Harelson earned a $500 Elks Vocational Scholarship and $1,000 Foundation Scholarship at North Idaho College. Five scholarships went to Jensyn Harmon including a $1,000 Benewah Community Hospital “Grow Your Own” Scholarship; $1,500 Bob Lust Memorial SMHS Volleyball Scholarship; $500 Elizabeth Curtis Scholarship Trust; $300 Kiwanis Scholarship; $1,000 Kootenai County Police and Fire Memorial Foundation; and $1,000 North Idaho College Foundation Scholarship. Marie Harvey earned $200 from Distinguished Young Women. Gabrielle Hatley-Lewis received $700 from the same program and also earned $500 Elizabeth Curtis Scholarship Trust; $3,500 Idaho Opportunity Scholarship; $500 Linda K. Best Memorial Education Scholarship; and $2,000 University of Idaho Academic Achievement Scholarship. Kayla Hodge earned $1,950 from Kiwanis Scholarship, $300, Distinguished Young Women, $650, and North Idaho College Foundation Scholarship, $1,000. Shelby Holder earned four: $250 Bill Anderson/KOFE Radio Scholarship; $500 Elizabeth Curtis Scholarship Trust; $250 Karen Ebert Memorial Scholarship; $1,000 University of Idaho Academic Achievement Scholarship. Matthew Hodgson netted eight scholarships including $500 American Legion Auxiliary Scholarship; $1,000 Elizabeth Curtis Scholarship Trust; $750 Elks MVS Scholarship; $3,500 Idaho Opportunity Scholarship; $300 Kiwanis Scholarship; $1,390 Earl and Christine M. Kidder Scholarship; $300 Idaho Opportunity Grant; and $2,610 University of Idaho Academic Achievement Scholarship. Emma Hofmaister earned $1,390 Earl and Christine M. Kidder Scholarship; $500 Elizabeth Curtis Scholarship Trust; $500 Elks MVS Scholarship; $3,500 Idaho Opportunity Scholarship; $300 Idaho Opportunity Grant; $100 KJAX Scholarship; $1,000 Margaret Blackinger Pearson Memorial Scholarship; $400 PEO Girl of the Year; $400 Distinguished Young Women; and $1,610 University of Idaho Academic Achievement Scholarship. Julia Luchini earned $1,000 North Idaho College Foundation Scholarship and $1,450 Distinguished Young Women. 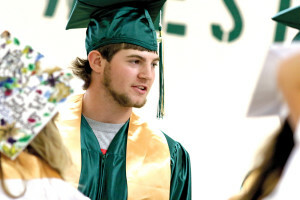 Brady Martin received $1,000 Eagles Aerie 2012 Scholarship; $1,042 North Idaho College Foundation Scholarship; and $2,000 University of Idaho Academic Achievement Scholarship. Dawson Marunde also received University of Idaho Academic Achievement Scholarship for $1,000. Nathan Masterson netted three scholarships. He earned a $250 SMEA Scholarship as well as $10,377 University of Montana Western Athletic WUE Scholarship and a Room Scholarship, $1,376. Hunter Megee earned a NIC Foundation Scholarship, $1,000, and $299 Archie’s IGA Hometown Proud Award. Gage Mitchell netted a $1,000 Elizabeth Curtis Scholarship Trust; $3,500 Idaho Opportunity Scholarship; $1,000 NIC Foundation Scholarship; $2,000 U of I Academic Achievement Scholarship; and $500 Lumberjack Booster Club Scholarship. 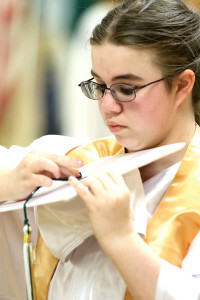 Earning a total of five scholarships, Kaylene Peet netted more than $5,000. She received $200 Alumni Association Scholarship; $1,500 Bob Lust Memorial SMHS Volleyball Scholarship; $2,000 Boise State Scholarship; $1,000 Elizabeth Curtis Scholarship Trust; and $4,000 U of I Academic Achievement Scholarship. Classmate Kayla Porter earned $223 Archie’s IGA Hometown Proud Award. Aspen Presley received $500 4-H Youth Development Scholarship; $500 Avista Outstanding 4-H Member for Benewah Community; $500 Elizabeth Curtis Scholarship Trust; $250 Gannon Family Scholarship; $300 Idaho Opportunity Grant; and $500 U of I Academic Achievement Scholarship. Kyle Rauch earned four: $1,390 Earl and Christine M. Kidder Scholarship; $500 Elizabeth Curtis Scholarship Trust; $500 Jim Sharron Elks Memorial Scholarship; and $2,610 U of I Academic Achievement Scholarship. Jaidyn Reynolds received $750 Elks Vocational Scholarship; $1,000 NIC Foundation Scholarship; and $3,000 Rotary STRIVE Scholarshihp. Jacob Seiler netted $500 Elizabeth Curtis Scholarship Trust; $300 Idaho Opportunity Grant; and $1,000 U of I Academic Achievement Scholarship. Seven scholarships were earned by Ryker Silflow including $200 Alumni Association Scholarship; $250 Eagle Scout Scholarship; $500 Elizabeth Curtis Scholarship Trust; $750 Elks MVS Scholarship; $300 Idaho Opportunity Grant; $300 Kiwanis Scholarship; and $1,800 U of I Academic Achievement Scholarship. Willow Walrod earned $1,000 Elizabeth Curtis Scholarship Trust, $300 Idaho Opportunity Grant; $1,000 U of I Academic Achievement Scholarship; and $3,500 Idaho Opportunity Scholarship. Finally, Dakota Wilson earned $250 Snow Riders Scholarship; $1,041 NIC Foundation Scholarship; and $400 Kiwanis Vocational Scholarship. 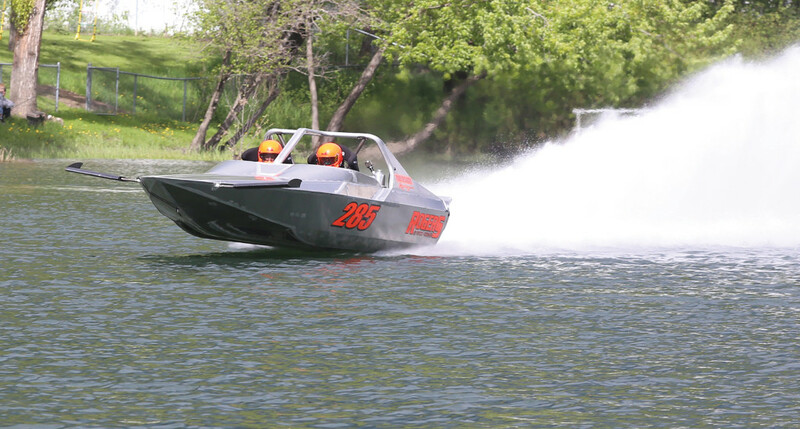 The fifth annual “Race the Joe!” Jet Boat Races concluded Sunday, May 21, leaving residents and racers with good memories – and a promise of more to come. Fifteen racers from the U.S. and Canada registered to compete in the annual event. The local race took place over two days – and both spectators and racers said the event was a success. The annual kick-off to festivities, the Show and Shine, also showed a significant turnout. The public mixed with race teams to collect autographs and photos, and businesses from around the area set up kiosks selling food, refreshments, souvenirs and more. The races themselves started at 10 a.m. May 20. All fifteen racers took their positions and rallied from St. Maries to Calder along the winding St. Joe. While several boats showed mechanical issues that prevented them from finishing, there were no reports of major issues at any point. In the UL-Class, perennial contender “Bad Habit” of Canada, captained by Chad Burns, took the top spot with a combined time of 1:55.43. “Pure Insanity,” captained by Ryan Rogers, took second with 1:59:43, and Ross Schlotthauer in “Bat Outta Hell” took third after penalties and DNS results increased his overall time to 2:32:10. In the A-Class, Dale Whiteside took first place in “A Bad Bird,” putting up a time of 2:32:13. Second place went to “Top Gun,” captained by Ryan Hudson, with 2:30:00. Jeff Edwardsen placed third in “Fast Times Maniac” with 2:55:44, while “High Tailin,” captained by Darren Arave, recorded 3:29:08 after penalties. “Preventing Insanity” returned to compete in the CX-Class, with captain Leighton Lillie posting the first-place time of 2:19:45. Jake Barney in “Never Satisfied” posted 2:29:11, while Jared Satterlund in “A Boat” clocked in at 2:32:51. Rick Serhan of “High IV” claimed fourth place with 2:45:49. Finally, in the FX-Class, “Know Idea” captained by Adam Steffes placed first with 2:34:58. Chuck Thompson claimed second in “Rump Shaker” with a time of 2:35:33. A boat from Geis Racing Team captained by Mark Miran took third with 2:49:07, and “Better Idea” by Chris Barger claimed fourth with 3:24:39 after penalties. After another successful event, Ms. Ackerman thanked the community members and sponsors who made the race possible. 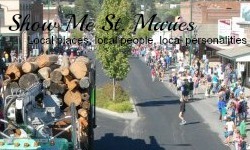 She said that the race committee is already planning to return jet boat races to St. Maries for a sixth time.